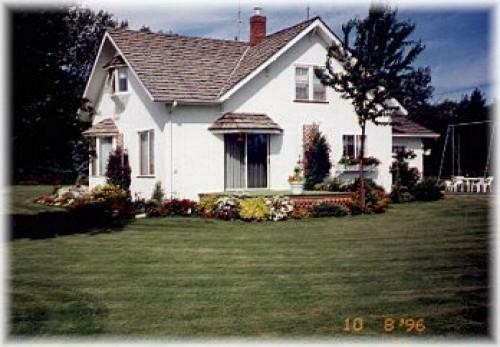 Sonja's Bed and Breakfast - Rimbey Alberta b&b (bed and breakfast) lodging accommodations. B&B on a mixed farm. Evening refreshments and full country breakfast. Choose from 3 spacious rooms. Shared bathroom with large shower. TV/VCR available in living room. We are 1 hour from Edmonton International Airport. Close to Rimbey Int'l Truck Museum, Sylvan Lake, Pigeon Lake & Gull Lake. Plenty of recreation nearby. John is a retired trucker and farmer. Sonja is a full-time housewife, gardener and seamstress. Come and enjoy our home and relax.